There are a lot of gems jewelry makers use for semi precious stones jewelry, but, as it turns out, some are more popular than others. Is it just the look? 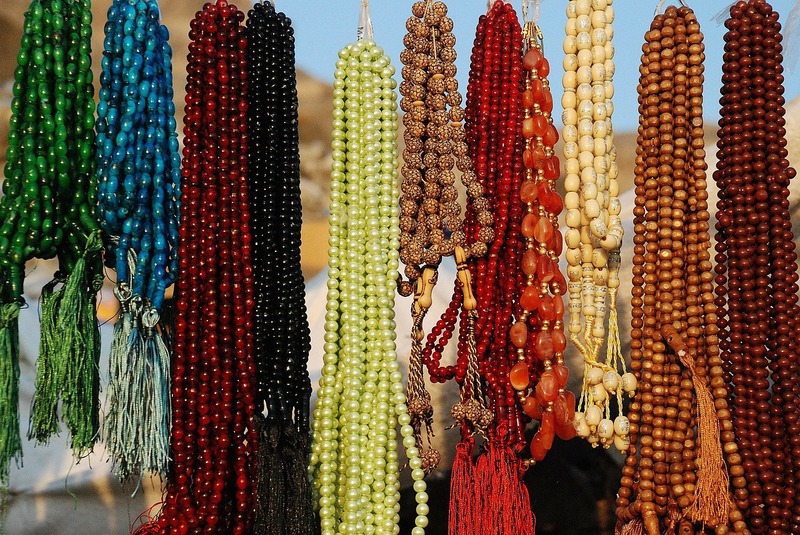 Do people buy semi precious stones jewelry thinking of the stone’s properties? Well, that’s for us to know and for you to find out if you continue to read further. We have prepared a list of the most popular gems used for semi precious stones jewelry & precious jewelry metals and we can’t wait to share it with you. We know what you are thinking. Rose gold is the latest jewelry craze so maybe everything rose just became popular. But, actually, rose quartz has always been a favorite for semi precious stones jewelry. Besides its unique pale pink color, rose quartz is also very romantic. People know it as the gemstone of innocence and love. The birthstone of January is not only one of the oldest gemstones discovered by humans, but also one of the most popular ones. Its deep red color that resembles the ruby and its amazing durability along with its symbolistic make it one of the top choices today for semi precious stones jewelry. Yes, in case you were wondering, it symbolizes commitment to love so it would be a wonderful idea for an engagement ring as well. Once upon a time, amethysts were the gems of kings and queens. Of course, at some point, they discovered diamonds and amethysts lots their place among the royalties’ favorites. Nevertheless, they are still very popular today for their unique violet color and their connection with spirituality and mindfulness. As an extra reason to love amethyst semi precious stones jewelry, this gem is incredibility durable. With a mesmerizing deep black color and a sleek look, the onyx is one of the most popular stones for semi precious stones jewelry today. Ancient Egyptians worshiped it and believed it had magical properties. 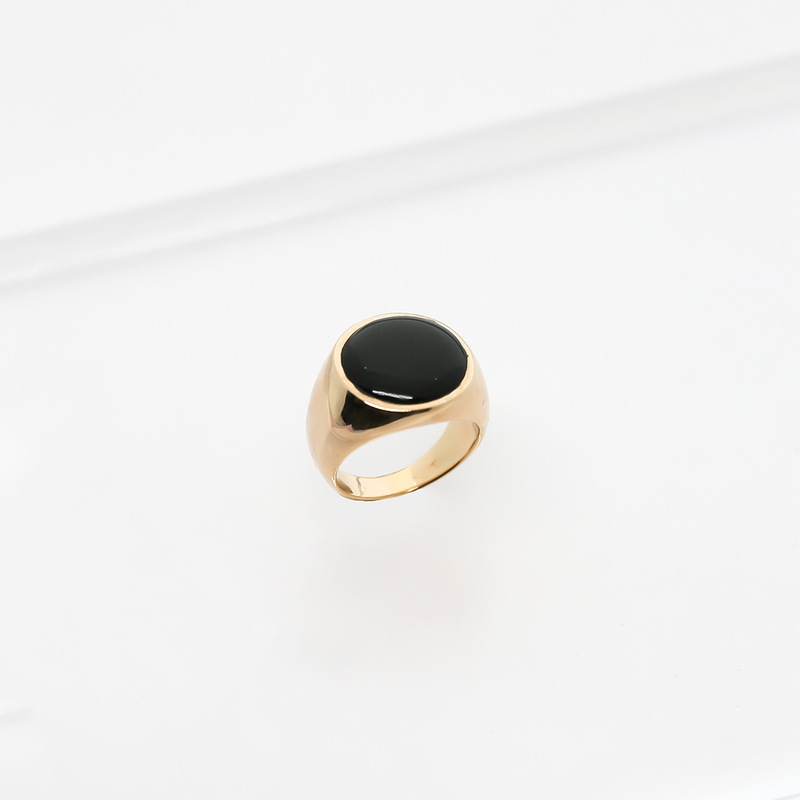 We are not so sure about magic, but what we can say is that an onyx piece of jewelry will greatly upgrade your look. Check out Ana Luisa’s Miruna black onyx ring below to get a sense of how elegant onyx jewelry can be. Even though this gemstone is pretty fragile, it is still one of the favorites for its unique color. More and more celebrities have started to wear turquoise on the Red Carpet in statement jewelry and they look gorgeous. Turquoise gemstones are ideal for summer jewelry, as well as formal semi precious stones jewelry. And, if you believe in the metaphysical properties of gemstones, some people think that turquoise gems have healing and calming properties. Its name comes from the French word “citron” and it means lemon. However, this beautiful gemstone has a rather vivid orange color and a unique sparkle. Jewelry makers use citrine in many semi precious stones jewelry designs as a supporting gem. Some people believe this stone has invigorating properties, much like a cup of coffee. This deep blue gemstone comes from the same family as emeralds, but it is not as rare. Nevertheless, it has a powerful luster and an elegant color that make it one of the most coveted gemstones for semi precious stones jewelry. Either on its own or as a supporting stone, aquamarine looks and feels very elegant. And if you want to reduce your stress and anxiety, many people believe an aquamarine stone can help you. Of course, rather than magic, it could be related to its relaxing blue color. An important gem for the Chinese mythology, jade is one of the best gemstones for semi precious stones jewelry. People have used it for many years now, but particularly this year jade has seen an unprecedented increase in popularity. Those who love myths and legends call jade “the money-brining stone” because they believe it brings fortune and good luck to the wearer. Opals have this unique property of reflecting light in such a way that they change their color. They feature rainbow-like inclusions in the light and simply look gorgeous on any semi precious stones jewelry design. The rarest form of opal is the black one, but it is also quite pricey. There are many legends surrounding this mysterious gemstone that looks as if it has its own inner light. And ever since celebrities have started using moonstone for engagement rings, it has seen a great spark in popularity. Semi precious stones jewelry featuring moonstones is elegant, subtle and has a unique luster. After all, the moonstone is the only gem that has the ability to emit its own glow rather than reflect the light. 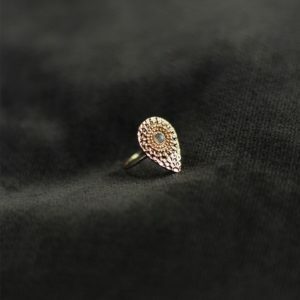 If you want to have your own moonstone piece of jewelry, check out Ana Luisa’s moonstone ring below. To see more of our unique fashion jewelry collections, visit Ana Luisa online jewelry shop.